This post is sponsored by Love Beets. Thanks for supporting the brands that make this space possible! Hi hello there! 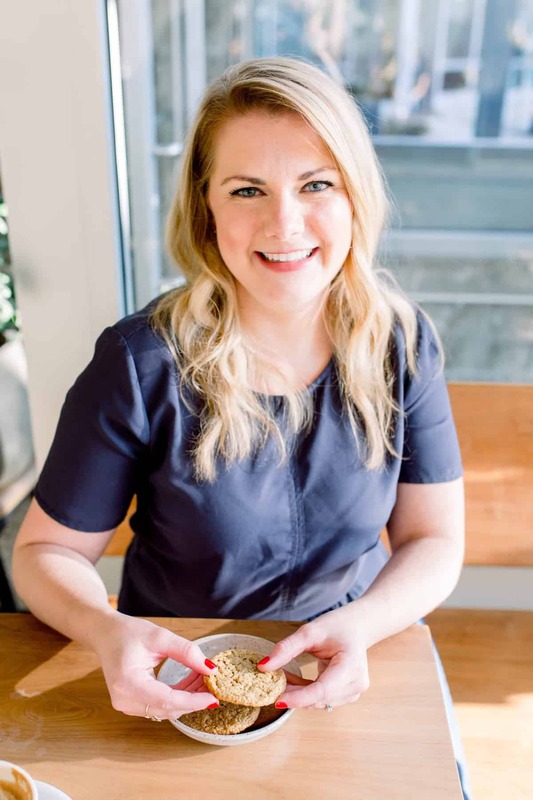 It’s been a heck of a week here and I can’t even tell you how happy I am to be back to eating (somewhat) normally and feeling more normal than I have in the last few days, including sneaking in a vegan chocolate cupcake piled high with . I was knocked down, hard, last week with a nasty flu that’s been going around like crazy. I literally didn’t leave the house for 5 days until this morning, and let me tell you, it felt glorious. I’m still not 110% (naps are necessary), but I’m resting up this week and trying to slow down my pace to keep myself in check. I will say, the one thing this flu has done for me is show me how totally important it is to say no or slow down, without qualms. I had endless things on my to-do list and even had to back out of a few commitments over the weekend. But really, life goes on, right? Anyway, get your flu shot people and eat your greens, your health can be fragile and fleeting, and it feels terrible when life keeps going and you’re stuck on the couch. Trust me! 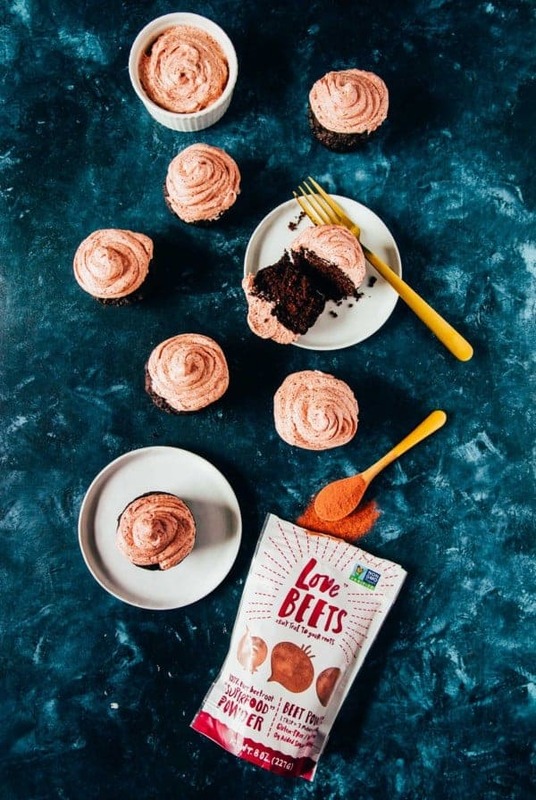 Now, moving onto the good stuff, these vegan chocolate cupcakes! I realized I have very few cupcakes recipes on the blog and was craving a sticky sweet cupcake covered in real frosting (please don’t give me that whipped cream stuff). 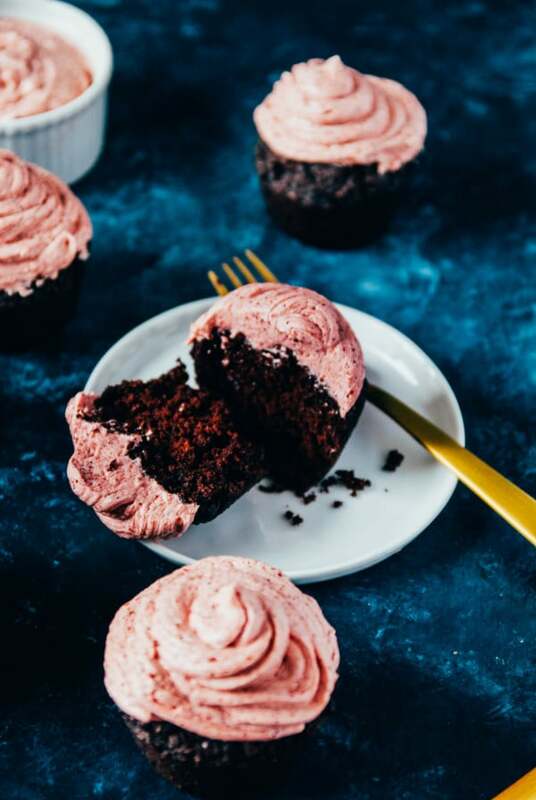 I also have loved all the pink and purple frostings floating around lately, so when I had the chance to team up with Love Beets and use their beet powder in a pink vegan buttercream frosting, I jumped at it! In all honesty, I haven’t always been a beet lover, mainly because of my bad memories of beets at school lunches, floating in a weird water and being that ‘thing’ that literally no one ever took. Elementary school me was always NOPE, but adult me is now ‘give me those beets!’, especially now that I know they can be done so right. Plus, who doesn’t like a pink cupcake? 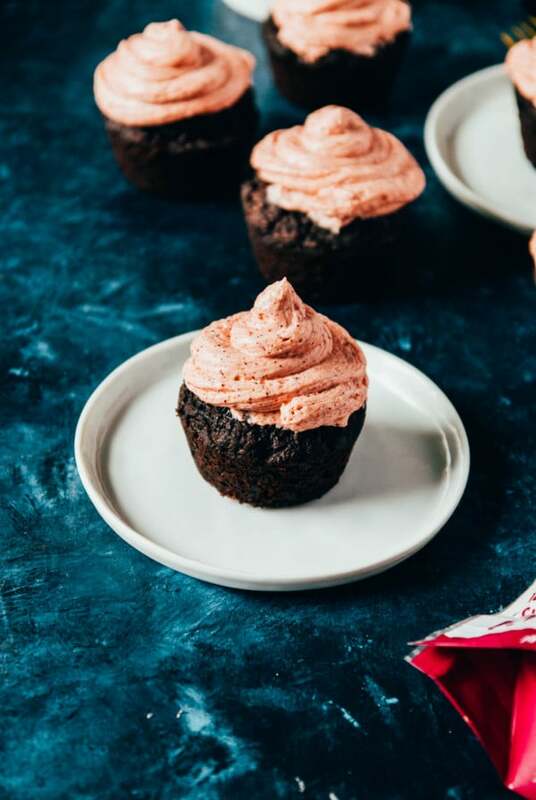 I’m not usually one for fancy cake baking and frosting, but ever since my husband bought me a nice set of frosting tips for Christmas last year, I’ve been itching to swirl some perfect tops on a batch of vegan chocolate cupcakes. I normally would stick to a plain vanilla or chocolate frosting, but while I was beating together this batch of vegan buttercream, I loved adding in the beet powder little by little and seeing the hue turn from the lightest shade of pink to a lovely dark pink-ish color that is it here. I’ve never used beet powder before in baking, but after using it this time, I’m totally sold! I know there are natural food colorings out there on the market, but I loved knowing that there were beets in this one and that it creates such a pretty color for the frosting. Love Beets has also made my beet eating even easier, since they cut out the steps of peeling, cooking, etc. and get right to the good stuff, straight up cooked beets that are all ready to go for cooking or snacking (their BBQ shredded beets are next on my to-try list). 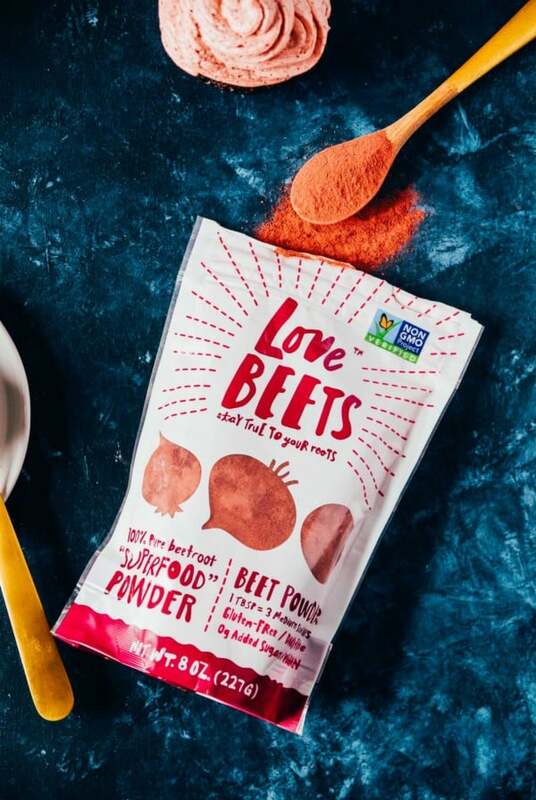 So, when they introduced their beet powder, I knew it was going to become a constant in my kitchen rotation. I’m already dreaming up a million different ways to use it, besides for coloring vegan buttercream frosting for vegan chocolate cupcakes, like in smoothies, oatmeal, and maybe even a pretty pink beet powder latte? I think I have some experimenting to do! This week is going to be packed to the gills and a whirlwind, because next weekend I’m going to NYC with Sara and Kelsey to eat ALL the things! I will be back on Tuesday with a non-boozy sipper to get you through the week and maybe even some brownies later in the week, if I can squeeze them in. Cheers to Sunday, enjoy it friends! Preheat oven to 350 degrees F. Grease a muffin tin liberally and set aside. In a large bowl, whisk together the flour, sugar, salt, cocoa powder, and baking soda. In a small bowl, whisk together the olive oil, vanilla extract, almond milk, and apple cider vinegar. Add the liquid mixture to the flour mixture and stir together with a spatula until no flour streaks remain. Transfer evenly into the prepared muffin tin. Bake for 15- 20 minutes, or until a sharp knife inserted into the center of a cupcake comes out clean. While the cupcakes are baking, beat together the coconut milk and vegan butter for the frosting with a hand mixer. When the mixture has come together, add the vanilla, powdered sugar, and beet powder. Start beating on low with the hand mixer, increasing to medium high until mixture is combined. Store frosting in the refrigerator until ready to use. After the cupcakes have baked and cooled, frost them liberally with the frosting, using an offset spatula or piping bag. Store in the refrigerator for up to 3 days. Be right there for some of those cupcakes! I’m looking for Love Beets at the store! YAY! I was telling AJ that if it happened a week later I would have had to cancel and I would have been SO SAD. these cupcakes looks delicious, thanks for an inspiring recipe!